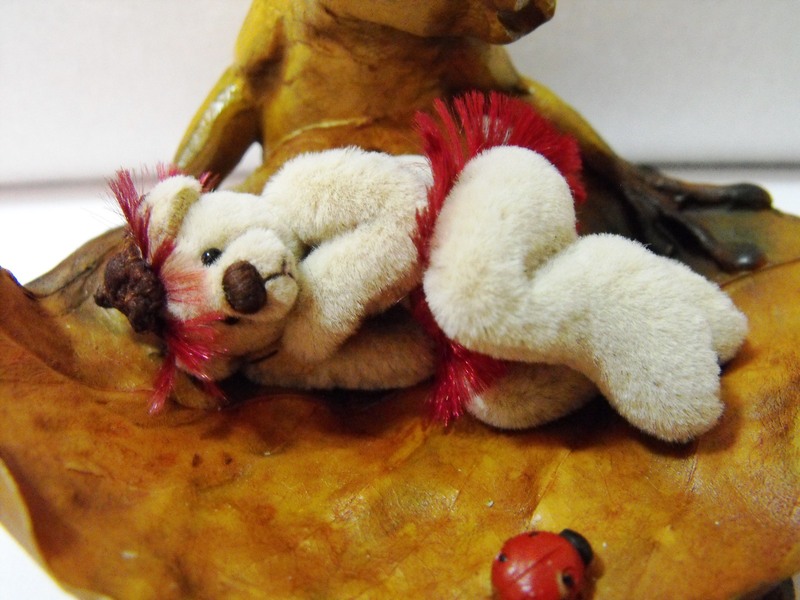 Parker Bears - Hand Made Miniature Artist Bears from Downunder: Introducing the Bush Nymphs !! Life has been quite hectic since my last blog. I have been busy trying to get myself organised to travel to Victoria to attend theWoodend show on the 31st of Oct. This will be the first time I have attended this show, getting more and more excited as it gets closer. I found these frogs a couple of weeks ago in a small Newsagency and just had to buy them. I loved them so much I bought all they had. I could just see a Snugglepot and Cuddlepie kind of a bear on them. Sooo cute!! I thought I would share a sneak peak with you of the 2 new bears I have made using my frogs. They are called Bush Nymphs.There names are Angophora and Callistemon. Hope you like them. These are soooooo cute, Lyn. Good luck at Wood end show. I would love if you would follow my blog, too. 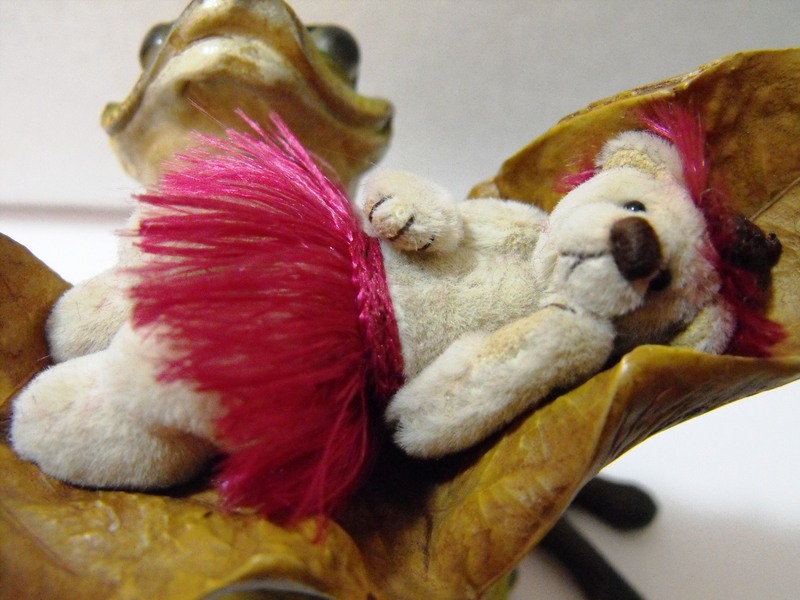 My latest blog I am asking artists how and why they make bears. Thanks guys for your comments. Thanks Wendy I'm sure I will have a good time at Woodend will pop over and have a squiz at tour blog. These are wonderful Lyn - you are so imaginative. I must try to get to Woodend sometime I believe it's a terrific show.